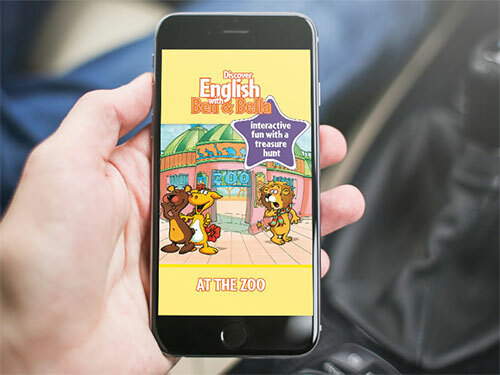 Ben & Bella is a series of interactive apps and ePubs created by WITS Interactive for the publishers 'Early Learning Group'. We have created ePubs for 6 series, namely: BEN & BELLA- At the Circus, On the Farm, Going Places, Going Shopping, A special day and At the Zoo. Ben & Bella is developed for kids up to the age of 7 years. It is based on the pedagogical principle of immersive learning and English is made fun and interactive. This ePub consists of read aloud feature with word highlight, also at the bottom of each page there are 2 icons with images of new words which helps children learn spellings and word pronunciation. When the icons are clicked upon, the image in the picture is highlighted with a star. We have also implemented a video at the end of each ePub which helps kids in knowing about the book in brief. This series is one of our best creations and completely engages the child into learning. An 'easy to understand' and entertaining yet informative ePub was delivered!